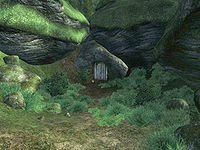 Timberscar Hollow is a small cave southeast of the Imperial City containing goblins (quest-related). 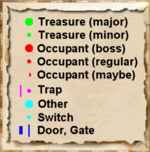 It contains only one zone, Timberscar Hollow. 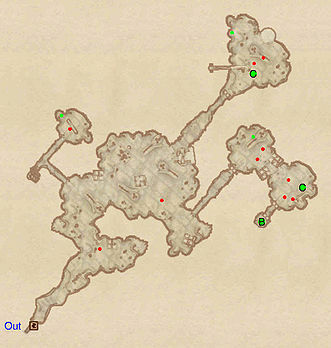 Timberscar Hollow may also contain raiding Bloody Hand Goblins if you visit before the Goblin Trouble quest is completed. Timberscar Hollow also appears in ESO. 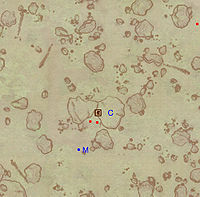 This location's map marker (M on map) is named Timberscar Hollow (editor name TimberscarHollowMapMarker). The entrance door is NNE of the marker, 70 feet away.